Dallara's first 'Stradale', a new powerful, lightweight composite 'barchetta' style sportscar designed for multifucntional use on the road or racetrack, has been handed over to its new owner. Photos: ATS. 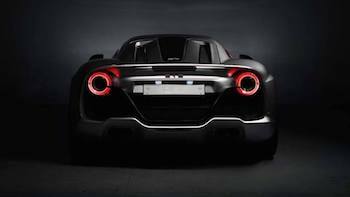 Back after a hiatus of half a century, Automobili Turismo e Sport (ATS), has presented the GT supercar, the first product from the ‘new’ ATS brand, which aims to develop and build its own cars in Turin thanks to the passion of entrepreneur Daniele Maritan and designer Emanuele Bomboi. Pushed by a powerful V8 bi-turbo (available with 650 and 700 hp) paired with a 7-speed transmission and built with abundant use of composite materials, the ATS GT carries some state of the art technological solutions. The V8 pushes the car from 0 to 60mph in a claimed 3 seconds allowing for a maximum speed of more than 206 mph. The three driving modes, Viaggio, Sport and Corsa, significantly change the dynamic behaviour of the car, transforming its nature and the feel the driver receives. Each mode acts on the suspension’s set-up, on the gearshift speed and on the engine’s power output, to lift the car to its maximum performance levels. But the new ATS GT is turning heads also, if not above all, for its aesthetics and design, for the proportion of its volume and lines, modern but at the same time tied to the tradition of the great Gran Turismo cars of the sixties, a generation of vehicles that permanently marked the history of automotive design. The obvious path back to success was through motor racing and the idea of creating and manufacturing a new Gran Turismo car - to race of course, but also to see driving on the streets - soon took shape. But as soon as November of that same year, problems and disagreement among the partners emerged: Volpi di Misurata left ATS (and went back to Serenissima), followed a short time later by Patino. Billi was left alone but, pushed by passion and incredible courage, decided to continue to move forward with the project. ATS was indeed on the grid at the beginning of the Formula1 World Championship with drivers Giancarlo Baghetti and Phil Hill (both of them former Ferrari drivers) but the season was a disappointment. The car demonstrated great potential thanks to good technical solutions but lack of funds prevented reliability and performance. Early in 1963 the team was forced to abandon Formula 1. It was the first ever GT with a mid-mounted engine, thus having an innovative weight distribution and suddenly rendering all the other GT cars of the time out of date. The car was beautifully sketched by another genius of its time, Franco Scaglione, fresh from a long partnership at Carrozzeria Bertone, while an important contribution also came from Alemanno, entrusted with the construction of the extremely curvaceous and aerodynamic body. 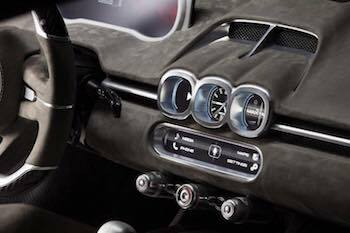 The final touches created an air of great luxury, well-finished in every detail with many features - such as the wide boot - the unmistakable sign of talent and creativity. 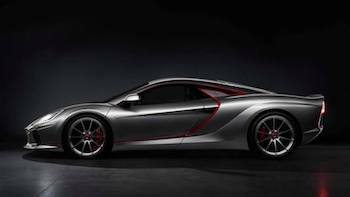 The engine was an eight cylinder motor of almost 2,500cc, the big brother of the one used in Formula 1, boasting 220 horsepower and able to push the 2500 GT over the 150mph mark. Targeted at a rich and sophisticated clientele (priced at 5 million lire - an astonishing price for the time) orders for the 2500 GT were received from wealthy, passionate individuals both in Europe and overseas but unfortunately Formula 1, with all its troubles, played a part in the events that led to the end of the project. In the end only 12 examples were manufactured, but a thoroughbred like that found a way to be remembered even in the racing world. After a lengthy and important career as amateur driver, racing go-karts and Formula Renault, in 2005 he began an important and thriving business importing and distributing fast sport cars … but the idea, not very well disguised, was always to realise something on his own. With strong entrepreneurial acumen his family decided to support him and in a short time a small prototype and a very “retro’” Barchetta were born. 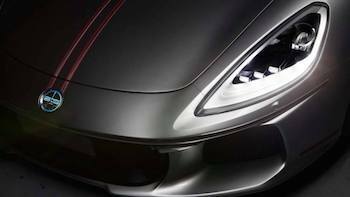 Just as in the past when designers took time to develop well proportioned, simple yet sensuous shapes to create beautiful Italian cars, ATS chose to maintain those romantic, creative processes that forestall the highest automotive standards. 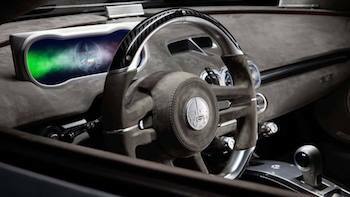 Emanuele Bomboi wanted the entire car to be built first and foremost as a piece of sculpture, with every surface carved and shaped to perfection. Even the interior - despite the limited space of a supercar - was fashioned to guarantee the best ergonomics and driver comfort. 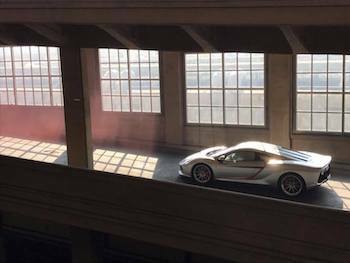 The side silhouette of this new Gran Turismo is charged with energy, with clean lines framing arched surfaces. The outlines above the wheel are evocative while a clean flowing line divides the car's upper and lower halves. As with the original car's design, the windows provide a focus for the flanks of the car. Uniquely, the door handles are practically ... non existent. In fact the vehicle is equipped with touchless sensors hidden underneath the small fin bearing the ATS logo. The rear of the car is windowless like a true race car, blending in gracefully with aerodynamically efficient cut-off tail, while the integrated rear spoiler is 'active'; it rises at high speeds to create downforce and can generate effective drag to help the car brake in the shortest distance. 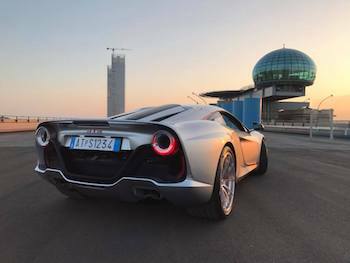 The distinctive wedge lines emphasize the tail width while the design at the rear is a testament to the Italian GT car's historic heritage, with broad shapes and flowing lines that frame modern design cues; all the elements have an aerodynamic role to play and fit perfectly the 'form follows function' philosophy. 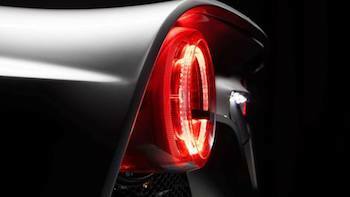 The rear diffuser, defying conventional design habits, is a continuation of the bodywork forming a part of the whole and supporting the v-shape that ties the LED lights with the markers above the wheel arch. The lights on the ATS GT deserve special mention. 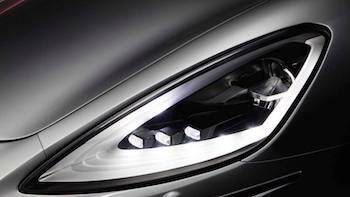 With the running lights on the contours of the headlights and the aluminium details emphasise the technological imprint of the car, while the unique tubular ring of the tail lights give the impression of a suspended body, almost detached from the rest of the vehicle. 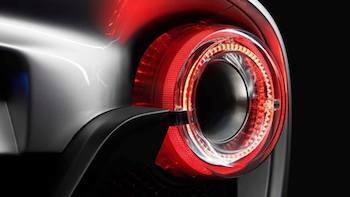 The holes in the rear light's rings also perform a vital function, extracting hot air from the engine compartment when the car is in motion. 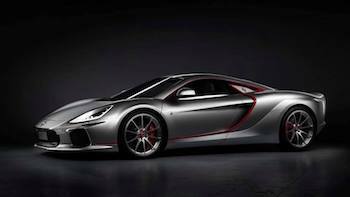 And because the ATS GT is being manufactured to order in very limited numbers, clients will be able to customise the car's colours, material and finishing touches according to their personal needs and desires. The Centro Stile ATS has studied and developed the best ergonomics for the driver, in order to offer a refined driving experience during urban, touring or track driving. Right from the start the design of the interior was aimed at positioning the controls in the most perfect set up. The main challenge was to achieve this objective by creating a balanced environment, with the functional minimalism of racing cars. All of this had to be done without compromising the ability to control many of the sophisticated technological functions built in to this luxury environment where safety remains a priority thanks to four air bags. The key features of the car's technological aspects are the ultra-thin digital Cluster TFT screen, surrounded by an aluminium frame, and the central touchscreen for managing all the other functions by allowing the driver to actively engage with the vehicle.